Belonging to a Women’s League affiliate provides individual members with many benefits. By being part of an international organization – which is the voice of Conservative women worldwide – every member has the opportunity to impact the world around her. Women’s League provides its affiliates with a vast array of educational, programming, social action, and administrative materials. To find a sisterhood near you, click here. Divrei Hokhmah: Words of Wisdom are concise units of study with which to open a meeting or program. To date there are modules on Proverbs, the Ten Commandments, Kol Ishah, Heart & Soul, and the Environment. 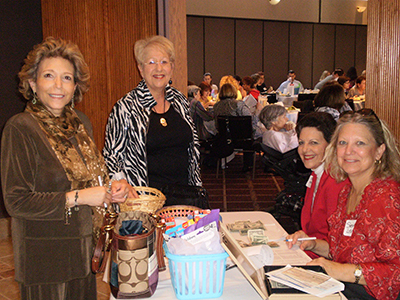 Women’s League Shabbat celebrates Women’s League and Sisterhood with study and programmatic materials. Participation in a wide array of programs promotes personal growth and development.